I am actually writing this from Astana in Kazakhstan. However, I want to wait until getting across this country before I write a proper account of what has been a remarkable stint in this venture. 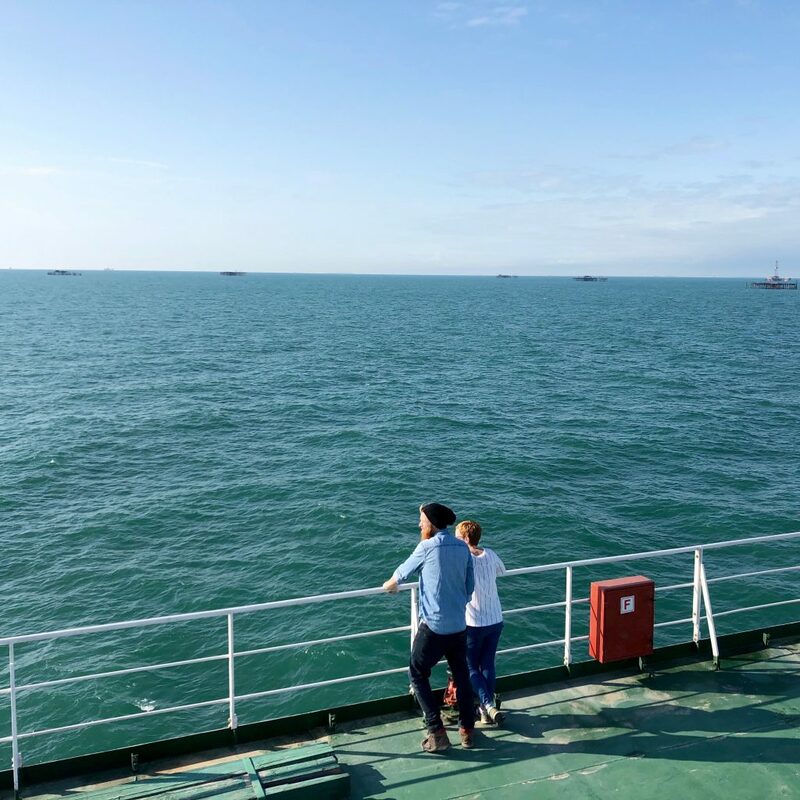 This post is about the journey from leaving the safety of Tbilisi to the crossing of the Caspian Sea. That crossing represented overcoming a logistical contest, entering Central Asia and the start of a whole new challenge in Kazakhstan. I hope it informs people/readers about what it was like and assists others who plan to make the crossing at some time. It is a unique experience that’s for sure! ‘The show must go on.’ This is how I felt as I parted with Lauren in Tbilisi. She had been a wonderful host to me and I knew what leaving meant. I knew that once I was out of the capital, it would be thousands of miles, several months and a bitter winter to endure before a familiar face would greet me again. It was an odd thought as, until that point, I had checkpoints of friends and family en route to pedal towards. There would be people, fleeting encounters and friendliness, of course, but nobody I knew, and nobody that knew me. My wandering mind was quickly jolted back into reality by ear piercing horns and unpredictable Georgian driving. 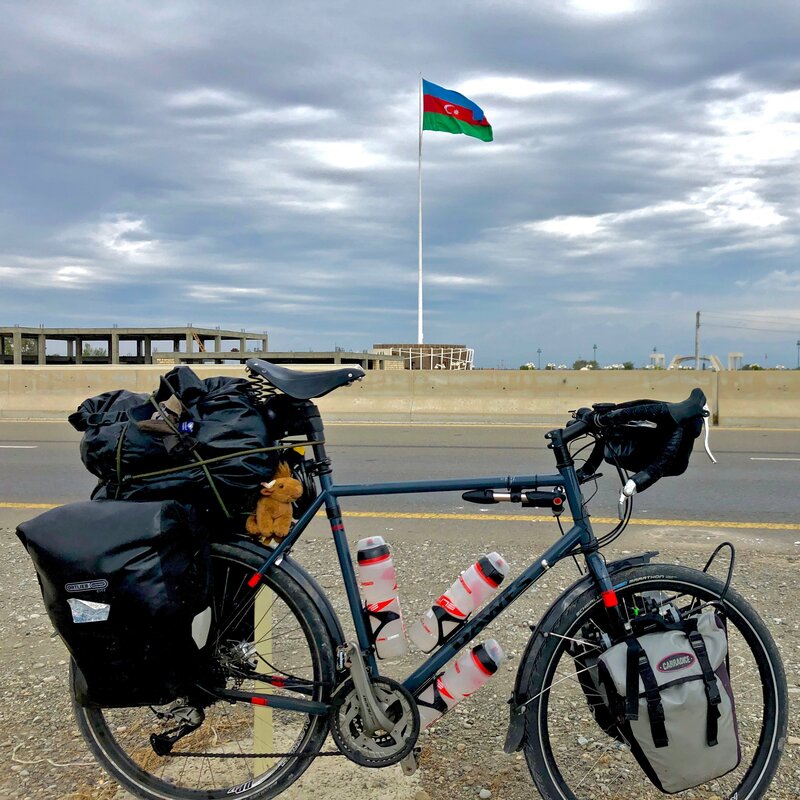 I was recommended a less busy border crossing into Azerbaijan and, after breaking to pause and reflect upon leaving the city, took a few turns to lead me onto a quiet uneven road and a welcome moment of calm. After what was essentially a rolling maul, usually only seen at the Rugby World Cup, to enable entry into Georgia, this was oddly calm. A solid double gate on the Georgian side, a small transit area and then a matching gate representing entry into Azerbaijan. The evident lack of activity meant I was not short of attention. My passport was checked five times. My kit was weighed, scanned, poked, prodded and laughed at. My face and eyes were scanned twice before finally my passport was checked a sixth time (by the same person that checked it first), the gates were opened and I rolled into country number 12. Of all the countries I was heading to, I felt a bit ambivalent towards Azerbaijan. I knew little about the country or the people but, as is often the case, was bowled over by the warmth of the people. The muscles in my arms have slowly been deteriorating through a lack of strength work over the past few months but I felt some benefit was being gained from reciprocating the sheer quantity of waving. 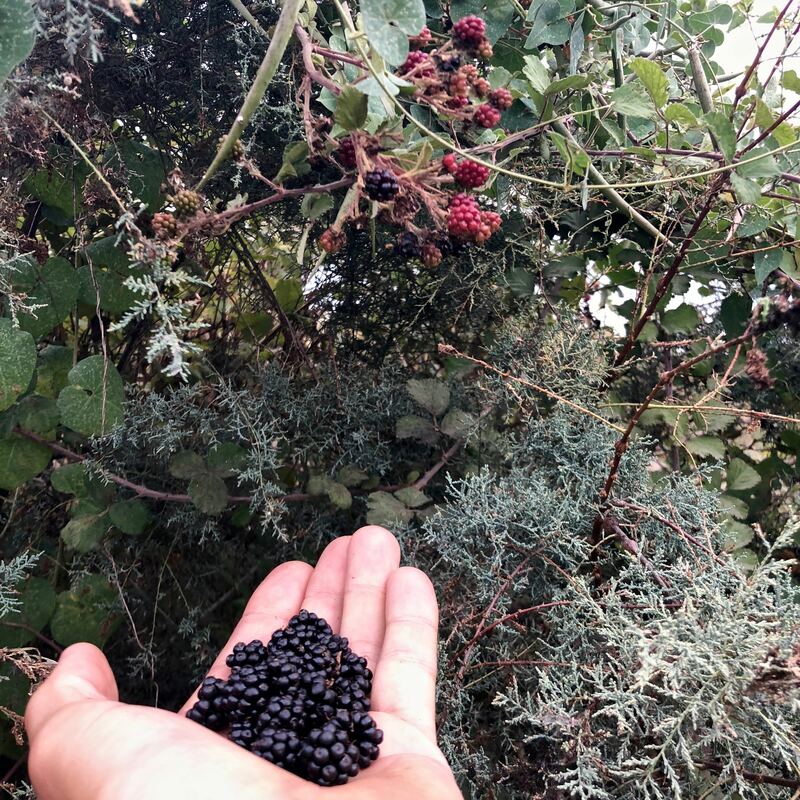 Autumnal berry picking, fish sellers on the side of the road, Lada cars, enthusiastic children and a vast array of selfies punctuated my time in the country. My rolling tobacco (sadly now ended due to lack of availability since Istanbul) caused such astonishment I ended up with a queue of people waiting for me to roll them a cigarette whenever I was at a cafe. Supply was dwindling but, given the lengths people have gone to help me, and their sheer excitement at an “English cigarette”, I could hardly refuse. I found it a little unrelaxing being stared at and spoken to by large groups of people. If I’m having a tough day, each stop represents a little mental break rather than a physical one. I occasionally have to remind myself to reciprocate the positivity being shown to me opposed to just wanting my own space. Equally, I acknowledge that I represent such an anomaly that it isn’t out of malice but rather intrigue. I have become bolder but more comfortable in where I put my tent. On one occasion a couple of farmers stumbled across my tent at dusk in the corner of their field. They were almost apologetic at disturbing me and I was beckoned inside for tea. There was certainly a level of simplicity in this part of Azerbaijan that was a world away from what I knew Baku was like. With that, however, seems to come an unwritten rule of selflessness and consideration for others. The scenery was not beautiful and the views barely memorable but above all that, this was a friendly place. I usually remain wary of a new country until I get a feel for it and develop an understanding of its culture. In the short time I spent in Azerbaijan and the brief encounters I had, this was one I felt safe and, in many ways, that is a fond enough memory. There are three ways to get around the Caspian Sea from Azerbaijan: south through Iran, north through Russia or a cargo ship straight across. All three are logistically challenging and notable. I chose the final option. 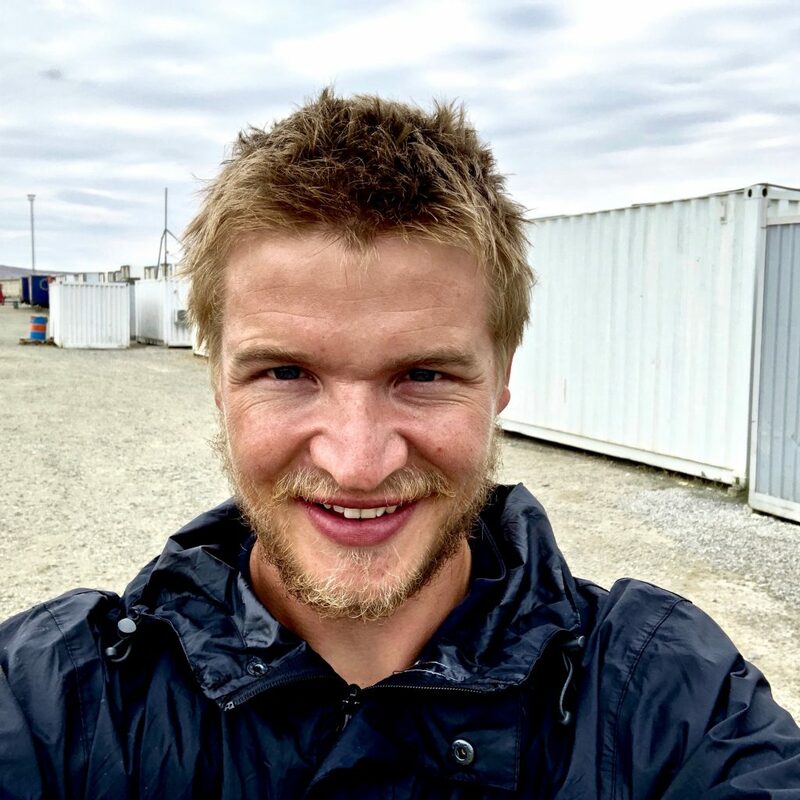 I made it to the Port of Baku in Alat – about 70km south of the capital city itself – and prepared for this inimitable process. I was now in the hands of the Azerbaijan Caspian Shipping Company. The ferry is meant almost solely for truckers. It doesn’t have a schedule and is heavily impacted by weather, capacity and a willing disposition from the powers that be to depart. The departures terminal was quite a contrast to the previous ferry I had taken, from the UK to France. The main similarity was a vast number of lorries but, instead of being greeted by Starbucks and Costa, I had about 40 portacabins and not much clue what was happening. I finally bumbled my way into what turned out to be the ticket office. I was then directed to the bank a few cabins down. He was out for lunch (11-3). Upon return, he stamped a few things, made a few grunts, wrote down how many USD he was after and sent me on my way. Unsurprisingly, the ATM was out of USD so back on my bike and out of the port I went to withdraw money to then hand back to the surly banker. A few more portacabin detours later and I found myself with what was apparently a ticket. Step One: Successfully buy a ticket. Tick. Step Two: Successfully board the ferry. Incomplete. In fact, it wasn’t just incomplete, it also seemed unlikely when all I was told was, ‘Maybe tomorrow, maybe not. Maybe the next day. I don’t know. Nobody knows.’ And that information was from the ticket office. I eventually located the café, the shop and the loos but remain intrigued what gems remain sealed in the other cabins. 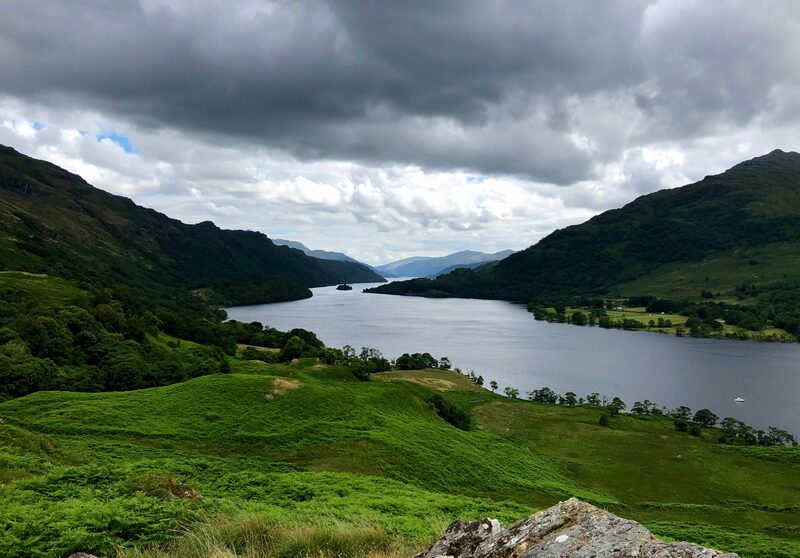 Regardless, I pitched my tent in the pouring rain on the concrete surface near the cabins – it was a feeble sight I must admit – and wondered whether I would get woken if the ferry did indeed decide to turn up. It did not. Instead, and far more enjoyably, I spent the morning watching the Khabib Nurmagomedov v Connor McGregor UFC fight on a grainy TV in the portacabin café. 50 passionate and animated truckers from Kazakhstan, Kyrgyzstan, Turkey and Azerbaijan all cheering their Russian hero ensured I thought best to side with their man. It was one of many wonderful memories with truck drivers that have been an ever-present over the past few months. In fact, as I get more remote and the road users are reduced seemingly to these multi-tonne beasts and my two-wheeled companion, I feel a stronger bond with them than many others. 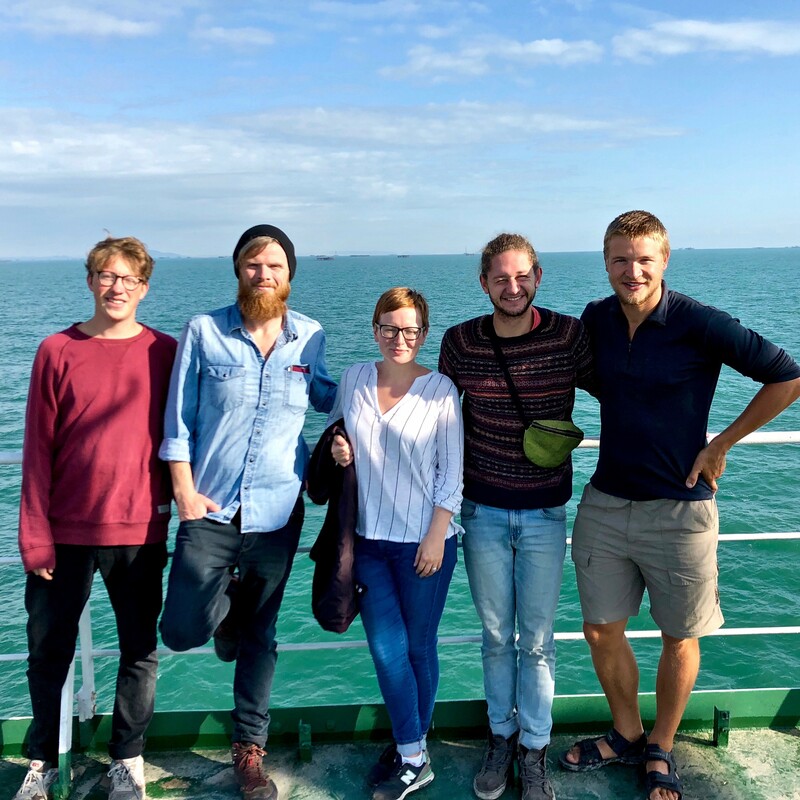 As I waited and continually attempted to explain my venture to the truckers, I was joined by two young Germans (Alex and Raphael) and two Brits (Helen and Jack). 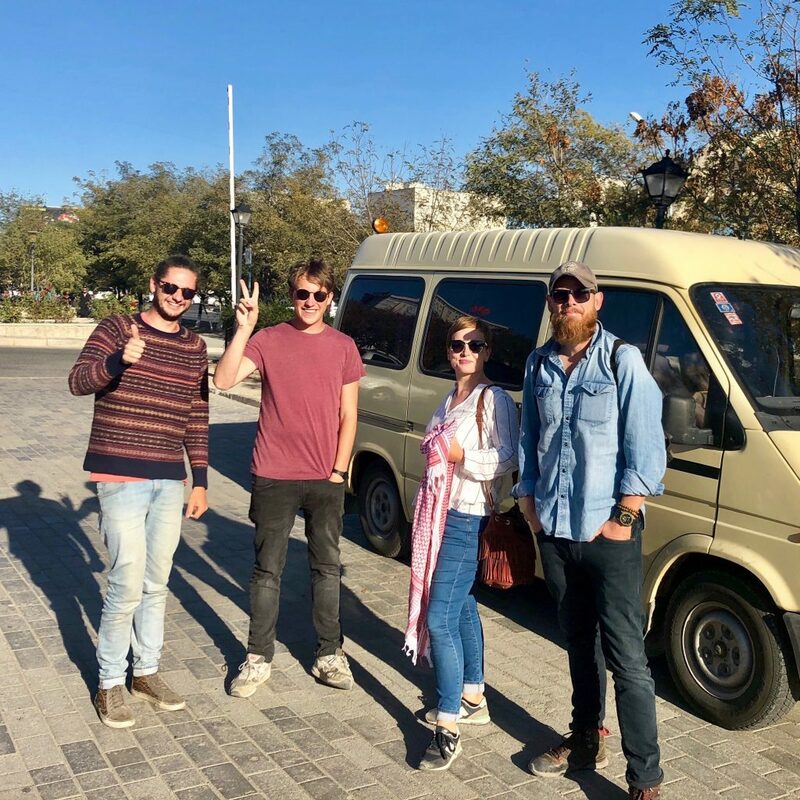 The 23-year-old Germans had a Ford Transit van and were spending a few months after university travelling from their home across Europe, around the “Stans” and back. 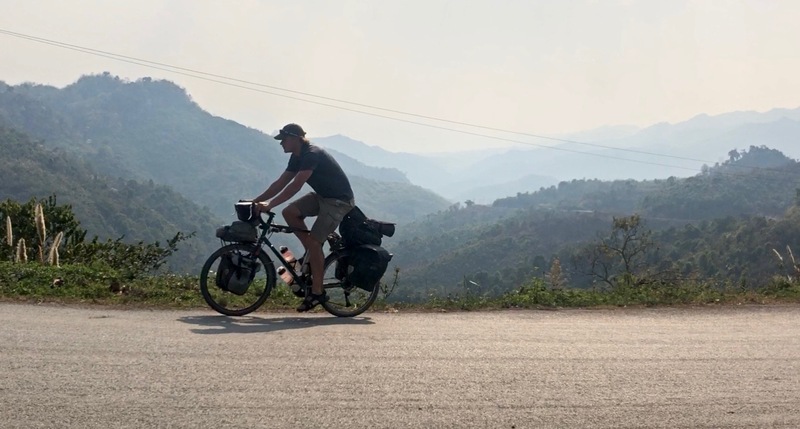 Helen and Jack are a wonderful couple who, having worked in London for about 15 years, went, “Sod this, let’s see the world.” A year on and a year still to go, they’ve been travelling predominantly by train but exploring and embracing wherever they were. I couldn’t help but be impressed and happy to meet them all. By train, car and bike, we were all on our little adventures. 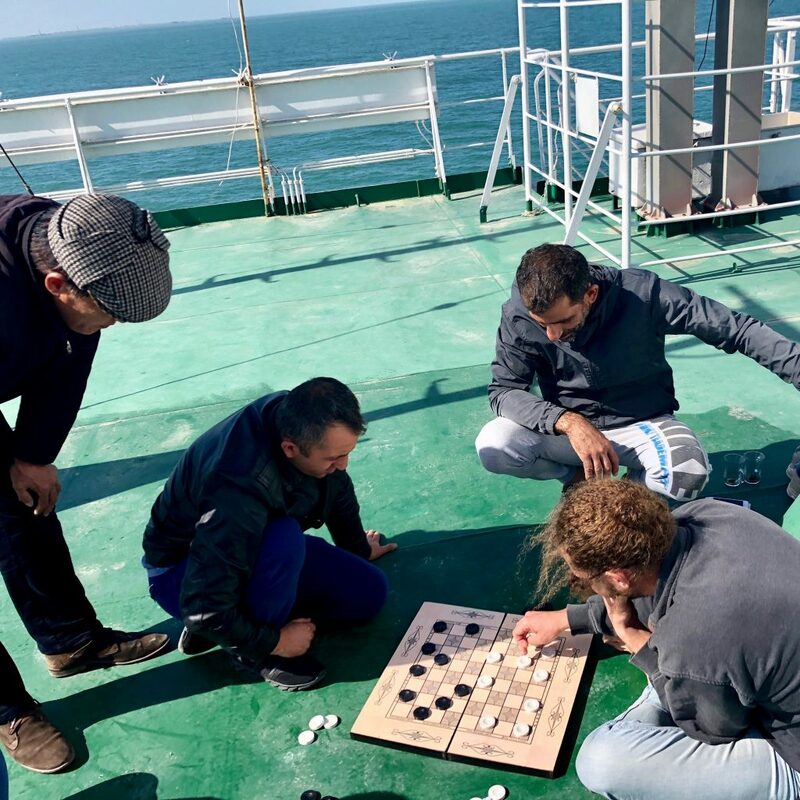 There were some similarities and some differences in our approaches but the fact we had all chosen this barmy Caspian Sea crossing as our means of travel said enough about each other to form a genuine bond. And then the rumours began that the ferry might be coming that afternoon. Murmurings and mistranslations only heightened our intrigue. Would we get on? Was there space? What was the food like? What were the cabins like? How long would it take? Would the impending storm halt our departure? 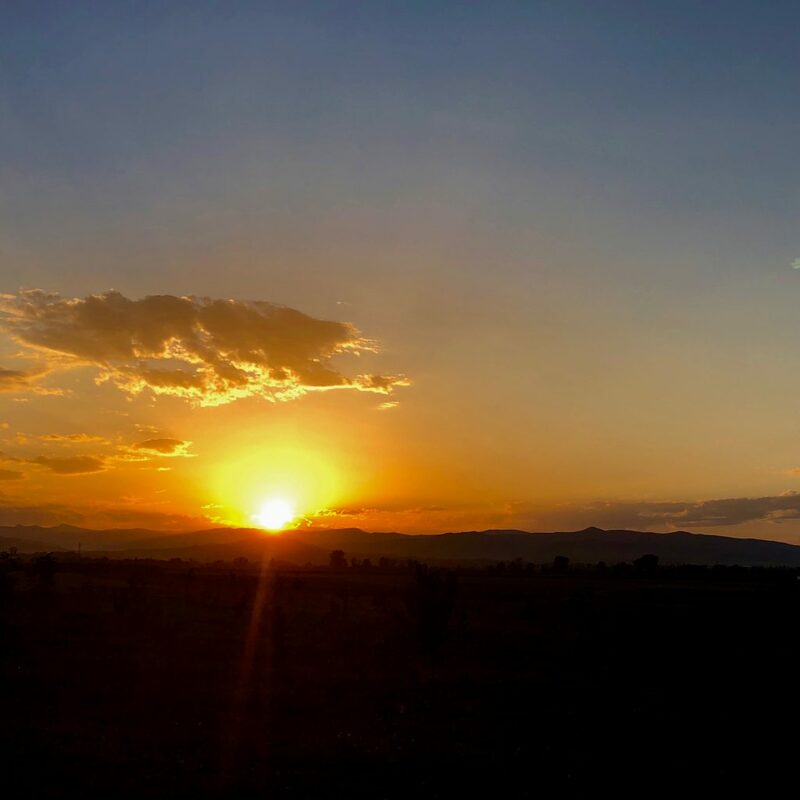 Darkness had set in before a man poked his head around the door and simply said, ‘Kazakhstan, we go.’ The foot passengers (myself, Helen, Jack and three young Kazaks carrying great sacks of beans) were called forward. Childish excitement ensued as it was actually happening. Jack and I challenged each other to make the stern and sturdy Azerbaijani security lady smile while being searched. His impressive beard and my inflatable mattress gestures probably led to a draw – it was a tough crowd! We’d made it on board, cabin keys issued and ready to go. Alex, Rapha and I shared a windowless, airless cabin (sauna). I knew when the Kazak winter set in, I would dream of the heat of this cabin but as the three of us lay sweating into our sheets overnight and craving any ventilation, the Kazak winter seemed a long way off. 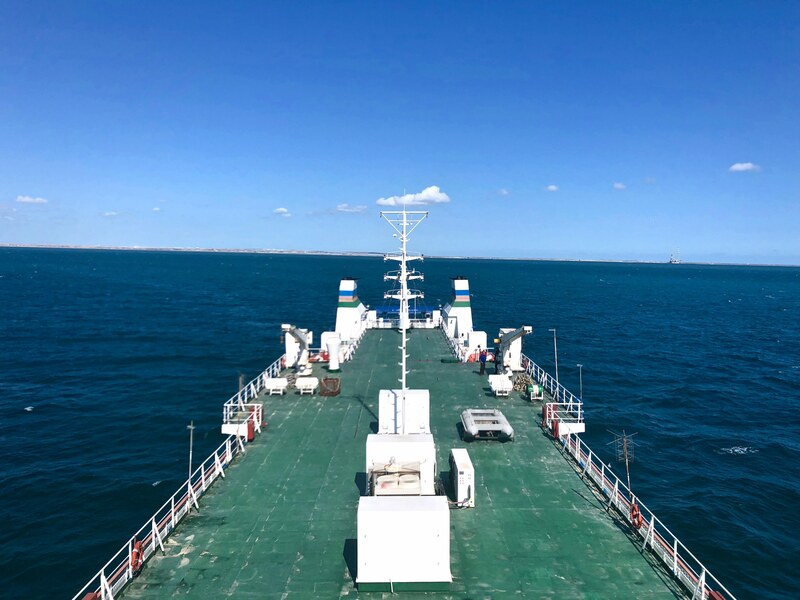 Being the Azerbaijan Caspian Shipping Company, we would wait until morning to head off but come sunrise, sure enough, the Mercury I was chugging away and the Caspian Sea lay sparkling ahead. Kazakhstan beckoned. We’d be there tomorrow, or so we thought. Alas, several hours in and the land we could see appeared very familiar to our last trip to the top deck. The winds were up; the anchor was down. 24 hours on, the anchor was now up and we were making genuine progress. We analyzed the distance one could see on the horizon – Rapha reckoned 11.26km based on a physics equation that bamboozled my brain. We thought about the tragic events in 2002 when the Mercury II (we were on the Mercury I) sank in inclement weather leading to the death of over 40 passengers. We debated whether indeed the Caspian Sea was a sea or a lake. Very interestingly, it’s actually defined as both and the definition has enormous financial implications based on trade, regulations and natural resource extraction. We read, listened to music and chatted idly. With no phone reception and no road beckoning me forward, it was a pleasure to just be. Raphael, himself a pretty handy player, got demolished at draughts by an Azerbaijani trucker who claimed to be a regional champion. With the speed and aggression at which he played, I would not query the claim but it certainly came as a surprise to us all. A Turkish trucker took exception to the poor quality of çay tea on the boat so proceeded to bring up his whole set, treated us five and then serenaded us with his beautiful singing voice. These little interludes are what makes travel so rewarding. Seeing different people and cultures meet when, on the surface, there appears little common ground. The reality is different. We were all stuck on this ship together, albeit only for a brief period of time, but that leads to shared experiences and shared interests into each other’s lives. The human connection through family, travel, or the worldly language of football, usually shines a commonality that extends beyond initial perceptions. The time for solitude and reflection would come. The time for people, new perspectives and laughter was now. 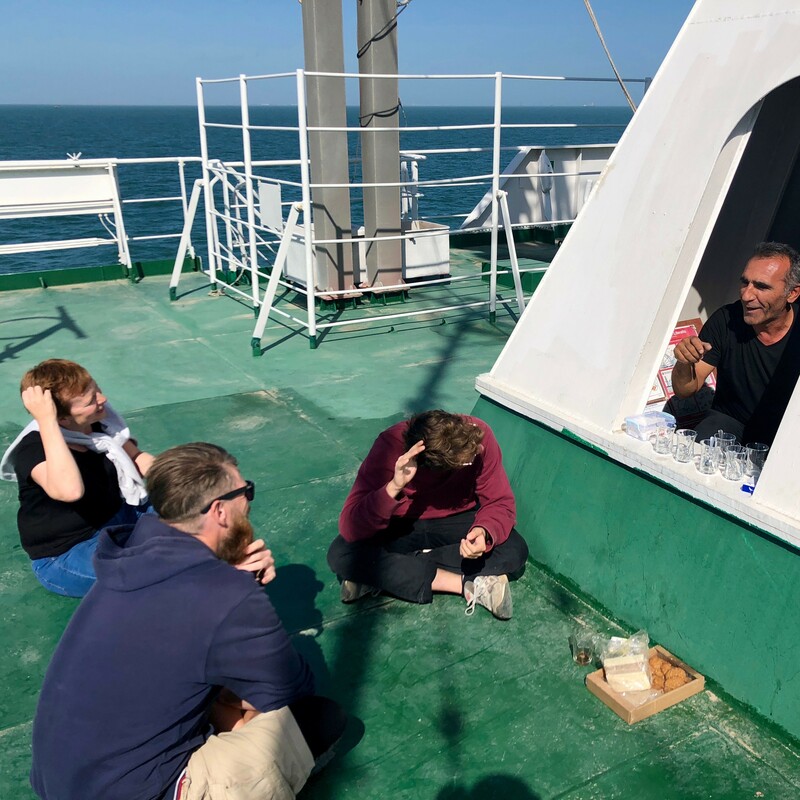 Despite almost no drop in the wind from when we were anchored off the coast of Azerbaijan, the Mercury I chugged away and after a startling morning wakeup call, it appeared as though we had made it across the Caspian Sea. At this sort of time with locals rushing about left, right and centre and no clear direction, the five of us were rather appreciative of the company we had. For me certainly, a lone traveler, it was reassuring to have strength in numbers. As we got our arrival visas ok’d, I loaded up my bike again, clipped in the pedals and headed off from the oily stench of the Mercury I. The ease of being on a bike was great as I could weave between the trucks and smugly get to the front of the queue. After a bit of toing and froing, I waited long enough and shared enough cigarettes with the security guards that he opened a side gate, gave me a bewildered wave goodbye and off I went. Helen, Jack, Alex, Raphael and I met up in Aktau for lunch and a few beers. I had seen friends on the journey but had not really shared a stretch with anyone for a while. When I look at a map and see the Caspian Sea, those four will remain in my mind. Although we were all at different stages of life, their travels are wonderful and show what’s possible if one has the inclination and imagination to explore. 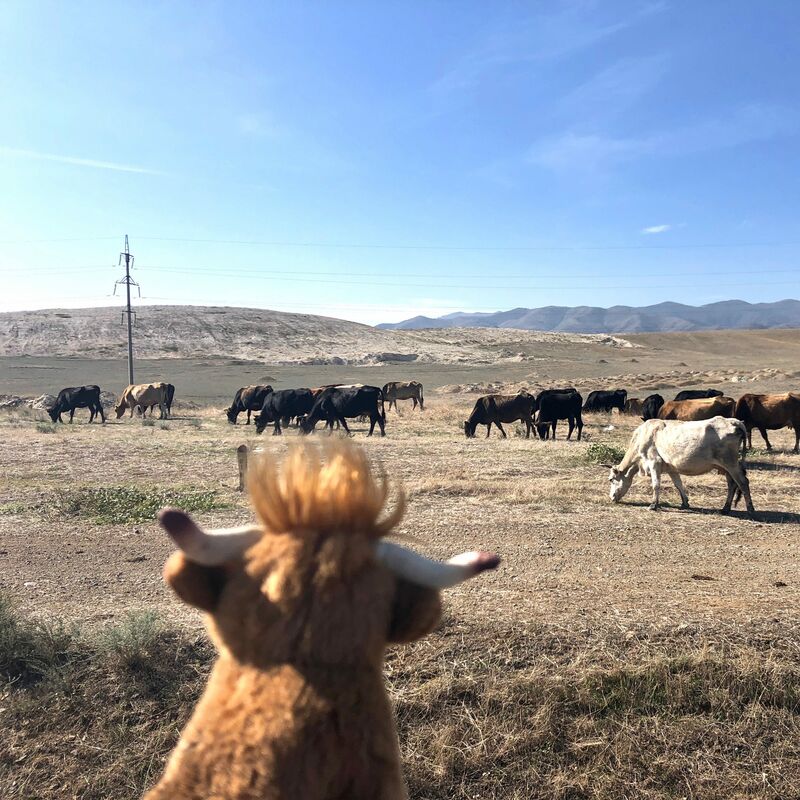 With butterflies in my stomach, I rotated my legs and began my stint in Kazakhstan. I knew I had months ahead of me in this vast landscape. This wasn’t Europe or Eurasia; it was Central Asia. This was a new continent and an exciting country. I had images of what to expect but really had no idea. In my mind, adventure beckoned.